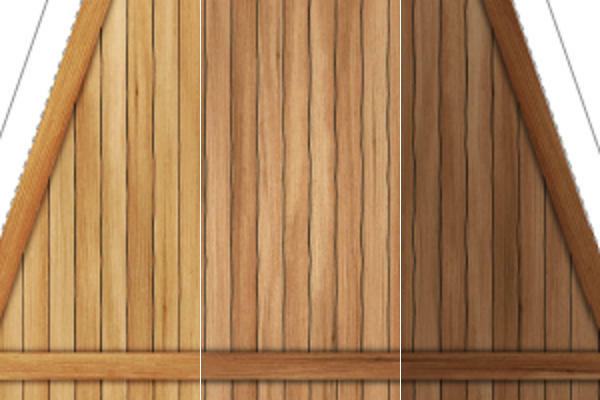 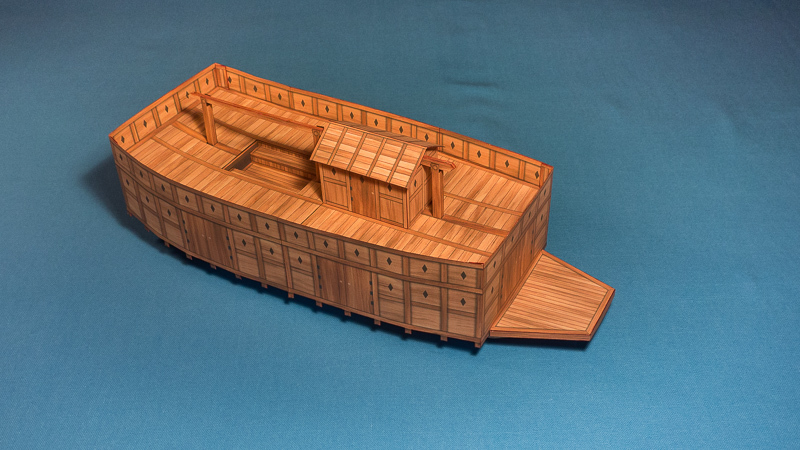 Introducing the Samurai Fleet Builder at DriveThrughRPG.com! 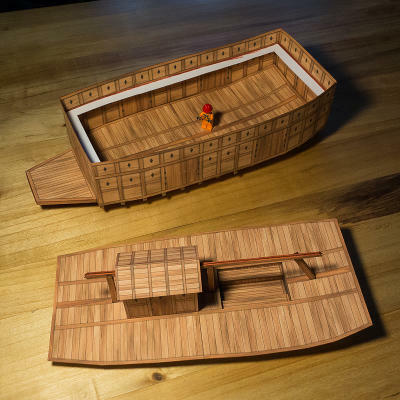 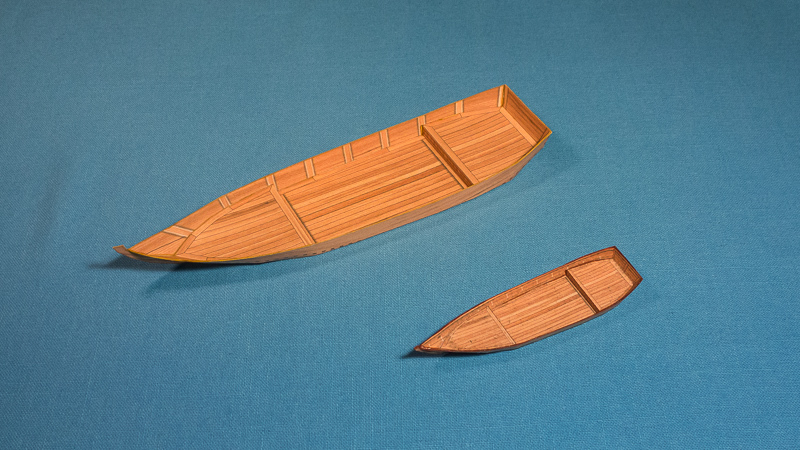 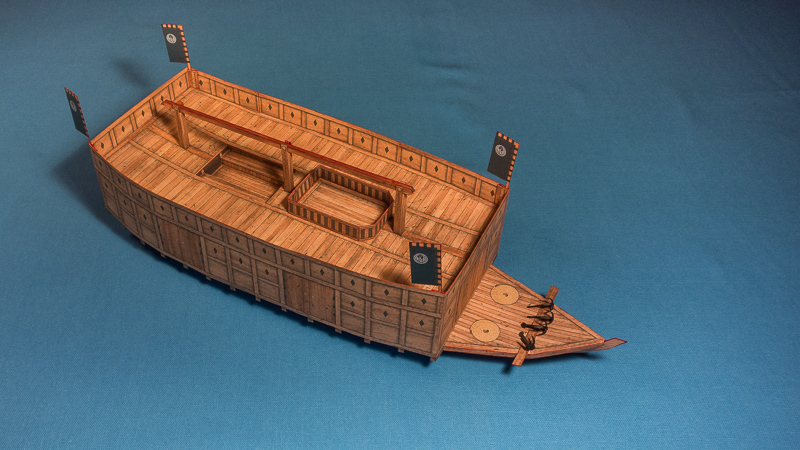 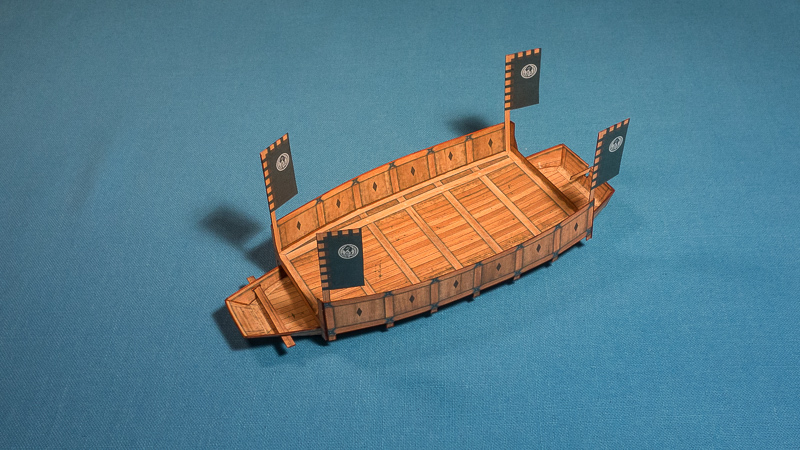 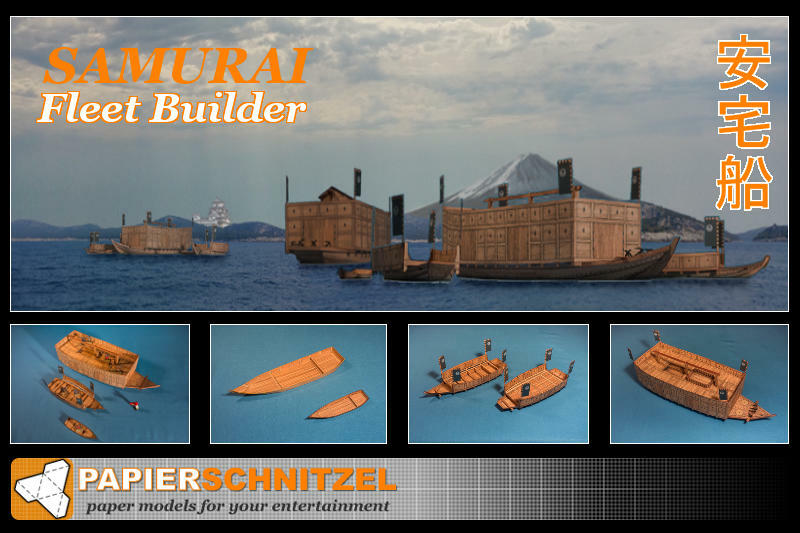 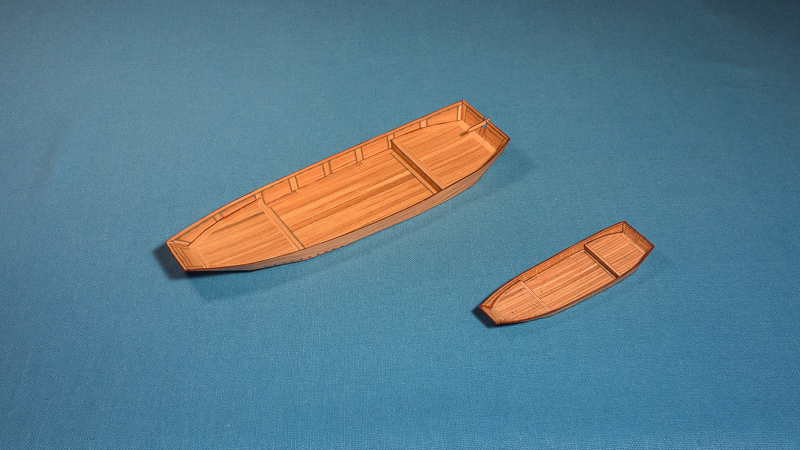 Build your own Samurai fleet with different boat types. 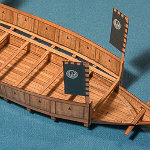 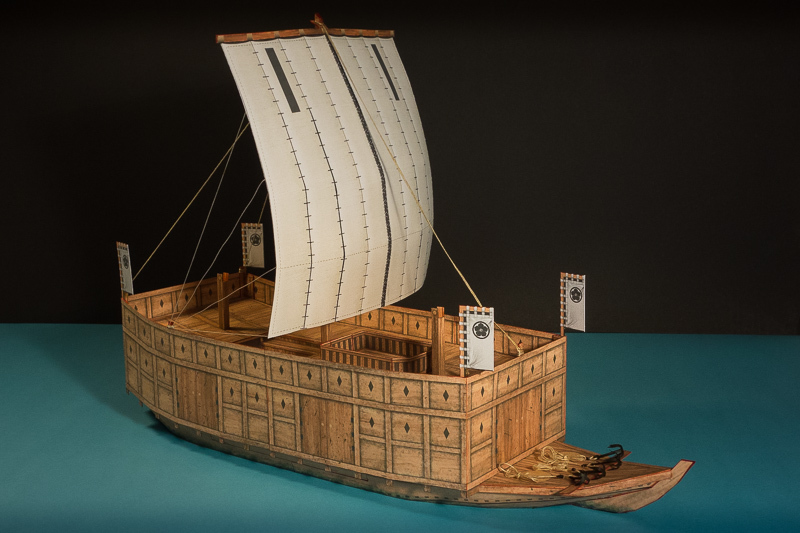 Create small transport boats, medium kobayas and big sekibune and atakebune! 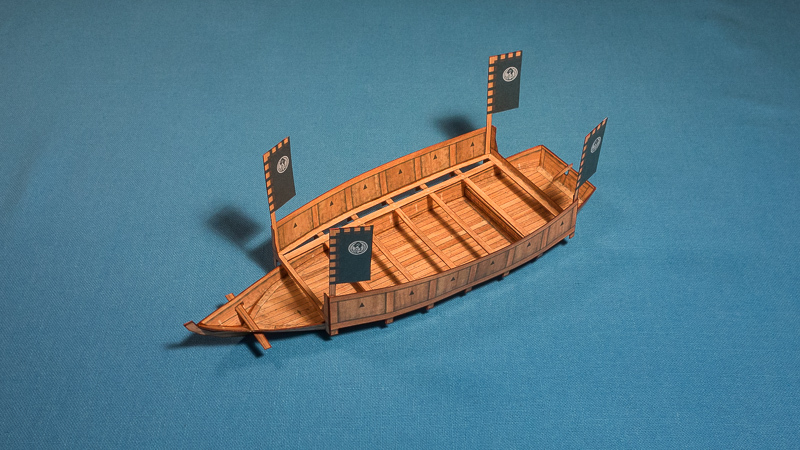 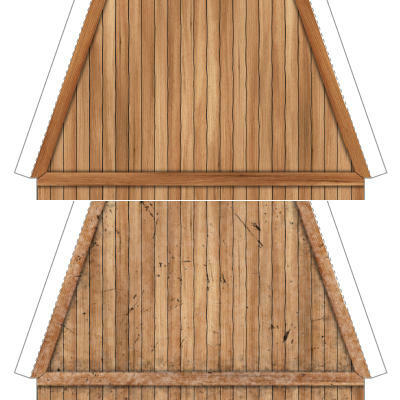 The Samurai Fleet Builder set comes in PDF files, which you can configure and print as many times as you want. 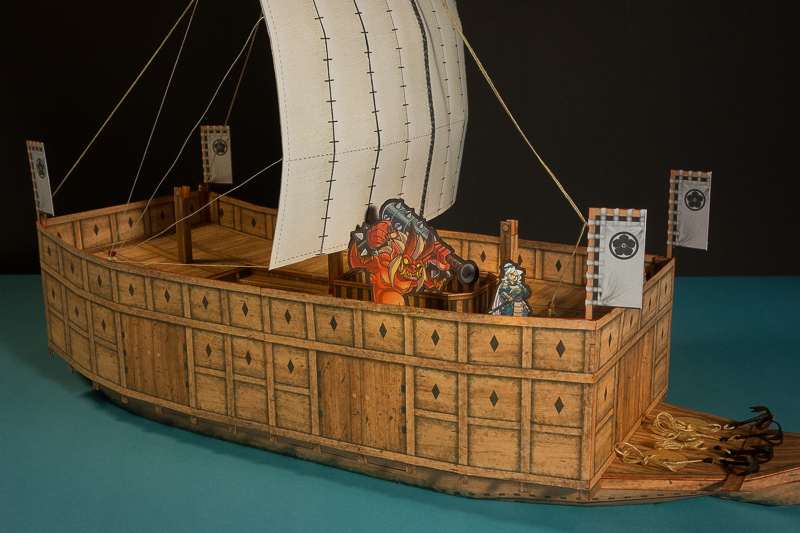 Decorate the ships with customizable Nobori / Clan flags from the separate free set! 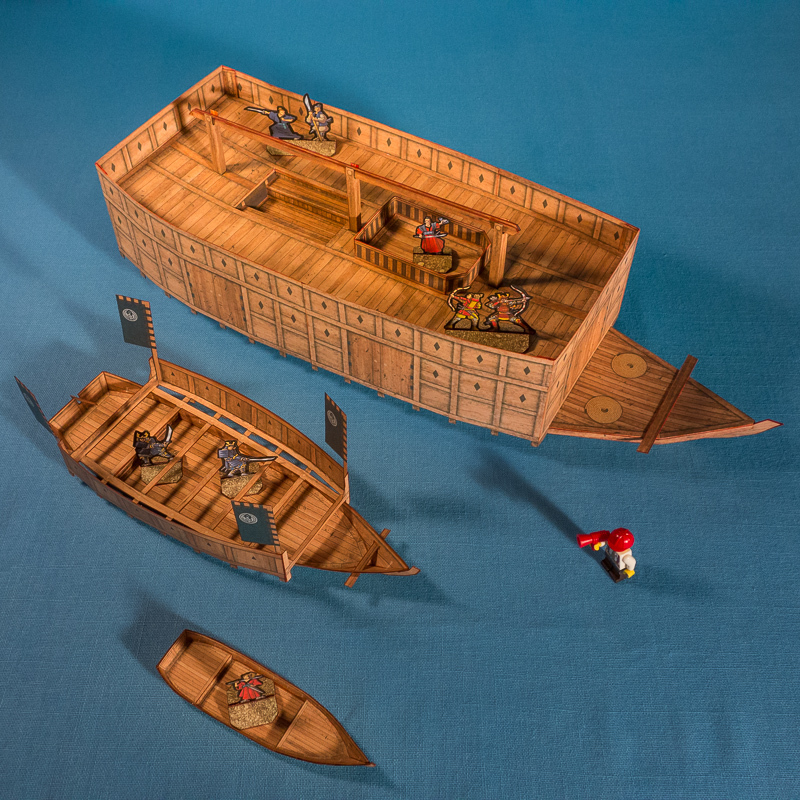 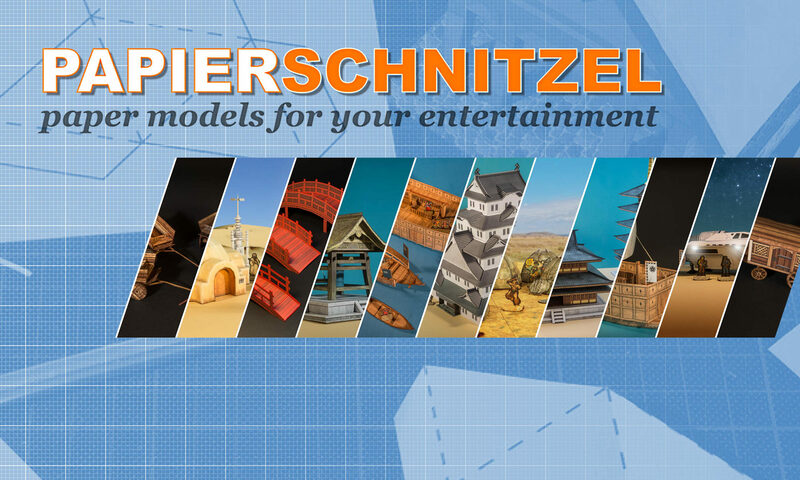 See the Samurai fleet in action (miniatures not included). 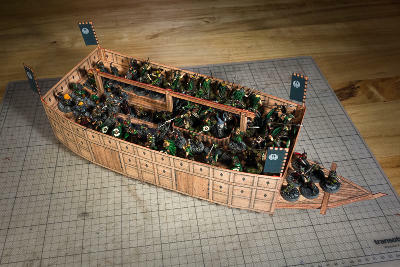 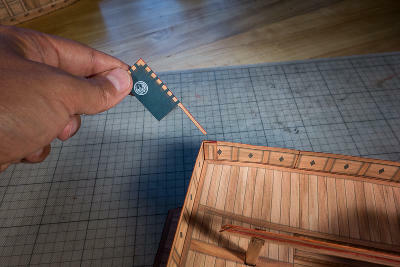 Fitting 75 1″ base minis on the deck of the big ship!